I am an applied ecologist who is interested in using decision science to achieve optimal outcomes for conservation. Much of my work focuses on marine & freshwater ecosystems and I have a soft spot for seabirds. My current work involves identifying the drivers of plastic ingestion in seabirds and applying this knowledge to prioritize research efforts on a global scale. 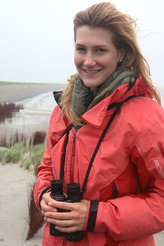 ​I am also a partner research that seeks to monitor plastic pollution in Canada’s northern waters and to understand the emerging impacts of plastic ingestion on seabirds. Another facet of my research examines the efficacy of endangered species legislation, develops ﻿​​decision support tools to improve the efficiency of endangered species recovery programs﻿, and helps clarify when openly publishing biodiversity data does more harm than good. By partnering with government agencies, intergovernmental organizations and NGOs I ensure that my research is relevant to policy makers and on-the-ground conservation efforts. In January 2019, I re-joined the Wildlife and Landscape Science Directorate of Environment and Climate Change Canada, after spending several years in Australia working on my PhD under the supervision of Professors Hugh Possingham and Richard Fuller. My new role involves providing science support for cumulative effects assessments, and will build on previous experience as a wildlife biologist and project manager with Environment and Climate Change Canada and as an environmental assessment biologist with the Fisheries and Oceans Canada Major Projects Review Unit. In 2013, I earned my MSc from the University of British Columbia, where I studied the habitat requirements of an endangered species of freshwater fish, under the supervision of Professor John Richardson and Dr. Jordan Rosenfeld.